The Duramax L5D is more-or-less a commercial version of the L5P found in Chevrolet Silverado and GMC Sierra 2500/3500HD models. The L5D made its debut for the 2019 model year, being featured exclusively in the new Silverado 4500, 5500, and 6500 chassis cabs. As a detuned version of the pickup engine, the L5D produces 350 horsepower and 700 lb-ft of torque; it is coupled to one of several Allison transmission options. 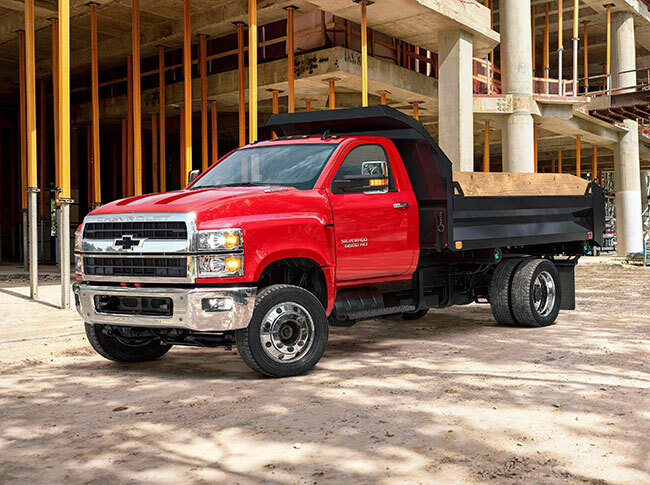 For 2019, the 6.6L Duramax is the only available engine for the 4500/5500/6500 chassis cabs, although a gas engine option is likely to be added in the future based on industry trends in the commercial vehicle segment. The commercial L5D is rated at a peak 350 horsepower and 700 lb-ft of torque to the pickup version's (L5P) 445 horsepower and 910 lb-ft of torque. While the L5D does feature subtle differences from the L5P, the most significant deviation is in the engine tuning. Reducing engine output in commercial vehicle applications is a common practice due to the high gross vehicle weight ratings; limiting the peak horsepower and torque output promotes reliability and longevity in addition to maximizing fuel economy. The Silverado 4500/5500/6500 models are available with GVWRs ranging from 15,000 - 16,500 lbs, 17,500 - 19,500 lbs, and 21,500 - 23,500 lbs, respectively. The 6.6L Duramax L5D is available coupled to one of several automatic transmissions from Allison, including 1700, 1750, and 2700 model designations in highway service (HS), rugged duty service (RDS), emergency vehicle service (EVS), and motor home series. All available transmissions feature 6 forward speeds and are applicable to different GVWR ranges; recall that the Silverado 6500 is available with a gross vehicle weight rating of up to 23,500 lbs. Copyright © 2009 - DuramaxHub.com, all rights reserved. DuramaxHub.com is not affiliated with or endorsed by DMAX, Isuzu, or any division of General Motors.